Will there be multiple deaths on the season premiere of The Walking Dead? 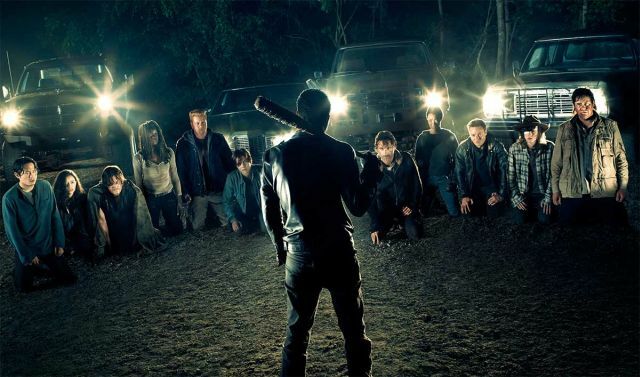 During an interview with Entertainment Weekly, AMC’s The Walking Dead EP and director Greg Nicotero may have revealed a secret. There may be multiple deaths in the season premiere. Did Lucille take out more than one character? If this is true, which characters? The Spoiling Dead Fan page predicted that there would be two deaths in the upcoming premiere and were threatened by AMC with legal action. Regarding the fans reaction to the season finale cliffhanger, Nicotero said, “I would say our fans are passionate, and for me personally, yeah, I was a little surprised that some of our viewers were angered by that. Because other shows that I watch and I enjoy have done similar things. They have ended with cliffhangers, or Did this person die or that person die? Or, What happened here? Or leading up to something. So yeah, I’m really proud of the episode, and I really loved it, and I was a little surprised that people had that reaction to it. So, what do you think? Think more than one of our crew will be executed by Lucille?